Only 8 Days Left For Registration! If you haven’t registered yet for our latest contest, hurry up and register before the registration ends. 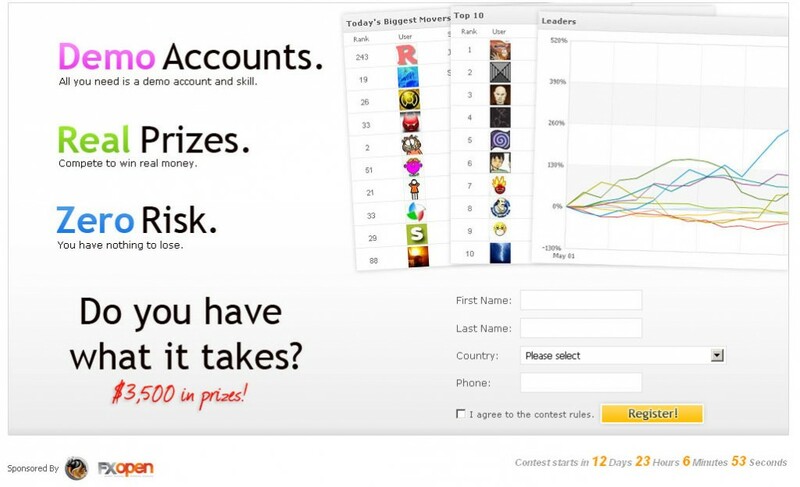 Trading is performed on demo accounts, yet the prizes are very real – $3,500 in total! P.S. We’ve been asked many times so just a quick reminder – trading accounts are disabled until the start of the contest, so this is nothing to worry about. Registration For The Next Contest Has Just Started! $3,500 In Prizes! We’ve just opened the registration for the coming contest, sponsored by fxopen :). The account will be added automatically to your portfolio, so all you’re left to do is link the account to Myfxbook. You are currently browsing the The Myfxbook Blog blog archives for February, 2011.